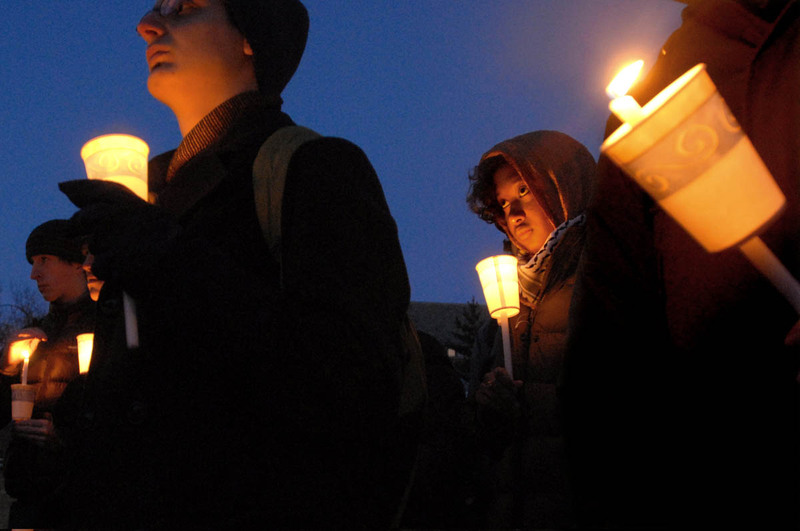 Nisreen Hasib takes part in a candlelight vigil on Yale's Cross Campus in early 2009. The vigil was an opportunity to reflect on the civilians who had died in the conflict in Gaza. The event was co-sponsored by the Yale University Chaplain's Office, the Muslim Students Association, the Joseph Slifka Center for Jewish Life and the Multi-Faith Council.